Rent directly from a private local owner instead of a large management company. Welcome to our 3 bedroom, 2 bath Cloud 9 Beach House right on the edge of Wailea. Local Maui couple Tamara and Steve Farwig invite you to stay with us in our lovely new home just a short walk to the beach. Keawakapu, a beautiful long white sand beach is a few minutes walk away or if you prefer, lounge poolside in the backyard or read a book in the hammock chair under the front mango tree. Central A/C, large flat screen TV's in every room and all new remodeled modern kitchen are just a few of the many features of this home. The master bedroom has a king bed with 700 thread count sheets, stunning bathroom with skylight and it's own small patio with a bistro table. The second bedroom is poolside with a queen bed and the third bedroom has two twins that can also be converted into king bed if desired. You'll be surprised at some of the ocean views as you explore this gem with pool or ocean views in each bedroom. This home is a perfect size for families or friends on a budget wanting intimate vacation time together with private pool located less than 5 min from several beaches, shops and dining. We are a permitted short term rental home - Permit #STKM 2016/0006. 1. Quiet hours are from 9:00 p.m. to 8:00 a.m., during which time the noise from the short-term rental home shall not unreasonably disturb adjacent neighbors. Located just up from a perfect white sand swimming beach called Keawakapu. You can drive to the beach in 1 minute or walk in 5-10 minutes. The house is nicely decorated with a great pool and back yard to enjoy as well as a front covered lanai to relax on. Proximity to the ocean, private swimming pool. Fully renovated with granite counters and stainless steel appliances. Private yard space with hammock, swing chair, outdoor shower and much more! Our family really enjoyed our stay at Cloud 9. The pool was so nice to use in the evenings. Perfect size house for us also. We had a wonderful stay at Cloud 9 Beach house! We loved the house, private backyard, quiet neighborhod and all the beach accessories (chairs, towels, umbrella, etc.) Location is perfect, it is centrally located and it was very easy to access everything in Maui! Communication with Tamara was very efficient, she responded to our questions quickly and check-in/check-out was a breeze! We would definitely recommend staying at their property and would love to come back! Cloud Nine was the perfect home base for our trip to Maui! The house was beautiful, and had every amenity we needed including beach chairs, umbrellas, boogie boards and coolers. The pool was a nice change from the beach, and the patio was perfect for grilling. Such a great stay; we can’t wait to return! 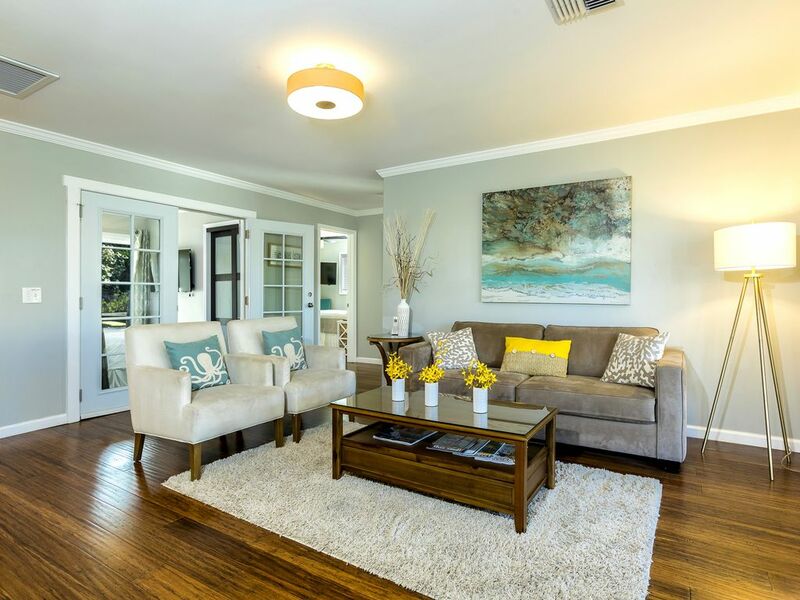 Very comfortable home, very clean and had everything you could want in a Hawai home! The people was awesome, we used it everyday! Great location, close to everything! Fun few days at Cloud 9 and Maui! Good headquarters for our group of five. House is cute and well appointed. We recommend it! We cannot express how much we enjoyed this home. We have food allergies in our family so I make all our food. The kitchen was perfect. There was not a tool I couldn’t find. We used the snorkel, boogie boards, beach umbrella, towels, cooler, which was essential as I packed our lunch everyday!! The pool was so pleasant to come home to take a dip after a long day hiking or hot day at the beach. We drank our coffee every morning on the patio outside the master bedroom with the ocean view. What a way to start every day. Our 2 daughters loved having their own bedroom and direct access to the pool. The beds were extremely comfortable. I cannot say enough about this place. It was absolutely perfect for us. Thank you for sharing you beautiful home with us. We truly loved it. Just up from beautiful Keawakapu beach - walk in less than 10 minutes.